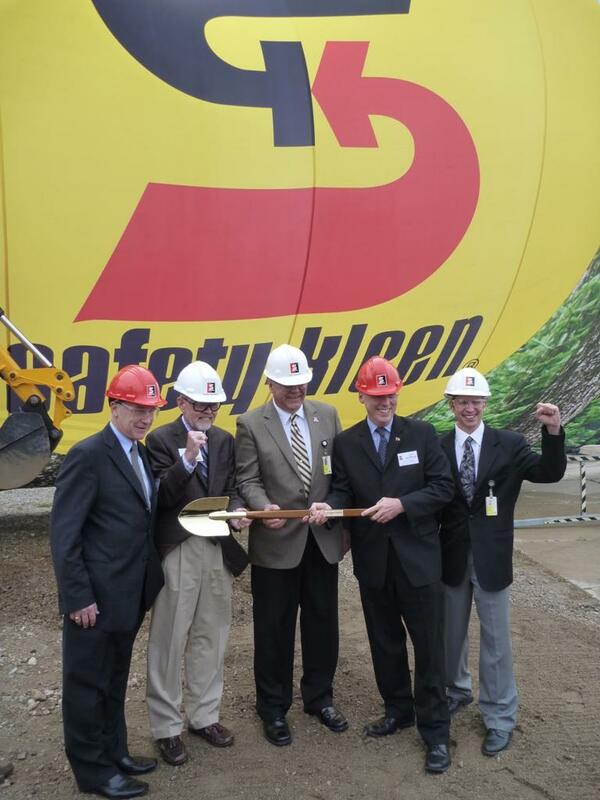 (BRESLAU, ON, October 28, 2010) Safety-Kleen Canada Inc., Canada’s largest collector and re-refiner of used motor oil, broke ground today on a $26 million expansion of its Breslau, Ontario, used oil re-refinery. The expansion will increase the facility’s processing capacity by 25 percent, from 152 million to 191 million liters of used oil annually. •	Reducing Ontario’s dependency on crude oil from foreign sources or tar sands for the production of lubricants. Once the Breslau refinery expansion is completed, more than 13 percent of all base lubricants produced in Ontario will be derived from re-refining. Re-refining represents the second “R” in the environmental hierarchy of Reduce, Re-use, Recycle. •	The ongoing production of high- quality lubricants meeting the same standards as those produced at a crude oil refinery, but using 30 times less natural resources. •	A 25 percent increase in avoided greenhouse gas emissions, from 309,000 metric tonnes per year to 392,000 tonnes per year. Re-refining 191 million liters of used oil annually provides the equivalent greenhouse gas savings of removing 72,000 cars from Ontario roads. •	Avoiding heavy metal emissions associated with burning used oil in uncontrolled devices, such as space heaters, boilers and greenhouses. •	Creating 8 new full-time skilled jobs in Ontario’s burgeoning green economy. For more information, please visit www.safety-kleen.com or call (800) 669-5740.